So the interview has gone well and you think there’s a good chance that you’ll be offered the job. Now comes the next hurdle, negotiating the offer itself. 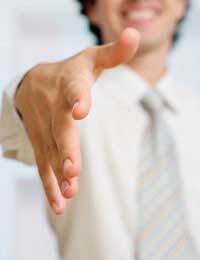 This article gives you some invaluable advice that should help you get the offer you deserve. Firstly, well done. You’ve obviously performed well at the interview and your potential employee thinks that you’d be well suited for the role. Next comes the job offer itself, and this is the ideal time to press home your advantage. They want to hire you, and they’ll need you to reach an agreement with them before you start. Negotiating at this time could mean the difference between an average salary and a really great one. Some people are fortunate enough to be offered a job during the interview. This can often happen if a candidate is considered exceptional or the company is worried that they could be tempted by another job offer. Try not to get pinned down by talking salary details during the interview, even if they are offering you the job. Employers would much prefer you to make a decision in a rush, as the likelihood is that you’ll be eager to please and could accept a lower salary offer. If the employee tries to press you, tell them that you have a salary range in mind (rather than an actual number) and that you’d need time to think the offer through first before you make any decisions as to salary. But make sure that you are polite while being firm, and that you let them know how pleased you are to receive the offer in the first place! Alternatively, the interview could end with the interviewer saying that they will be making a decision shortly and will contact job recruitment agency with any news. This is where having a good relationship with your agency will pay dividends. Most agency consultants are keen to contact their clients (the company) after an interview to find out how it went and to discuss potential next steps. They will also contact you to get your version of events and provide any feedback from the interview. Of course the sooner an agreement is reached, the sooner they will be paid their commission! Try not too sound too keen at this stage in the proceedings. You do not want to be rushed into accepting an offer, even if your agency believes it is a good one. If the agency comes back with an offer, think about whether it is in line with your expectations. If it falls short, don’t be afraid to tell the agency. At this point they can go back to the company and suggest they increase their offer. Remember that the recruitment agency is paid by the client, not by you, and to take any warnings that the client is unable to meet your salary expectations with a large pinch of salt. Companies rarely, if ever, interview a candidate that they cannot afford, and the company will already have a good idea of your salary range from the agency itself. If you have kept in contact with your agency and informed them of the salary you want, think about what sort of compromise you would be happier with. There’s no point refusing an offer just because the salary is a couple of thousands of pounds below your ideal. Think about other benefits as well as salary, such as pension schemes, bonuses, holidays and other incentives, that might actually be worth more than a few extra pounds a month. Once you’ve reached an agreement, don’t delay, put pen to paper. Congratulations! You’ve just successfully negotiated your new salary!